These recently produced maps by Bird's Eye View are selected to show a range of cartographic styles. This is a map produced for a coalition working to protect the San Gabriel Mountains called San Gabriel Mountains Forever. It shows a series of proposed protections: National Monument expansion, new Wilderness, and Wild and Scenic Rivers. The data and cartography were produced entirely in QGIS. The goal was to give it a modern clean look focused on the proposals. This map was created to support the Wildlands Network TrekWest. This campaign involved John Davis traveling under his own power from northern Sonora to Canada highlighting the issue of wildlife habitat connectivity. The trek lasted 10 months and he traveled over 5,000 miles via hiking, paddling and biking! Read the trek blog for more information. This map shows the power plants which receive coal from the Powder River Basin. The dispersal lines were developed via a python script. Two example of black and white cartography. To the left is a map focusing on the acequia network in Taos New Mexico. 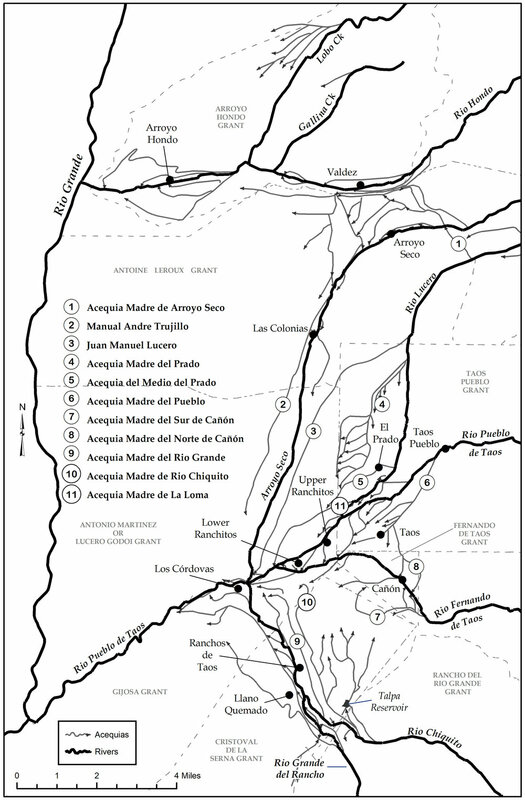 This map was produced for publication in Acequia: Water-Sharing, Sanctity and Place by Sylvia Rodriguez. To the right is a map showing the historic road network for Birmingham, PA. It was produced for an upcoming book authored by Dr. Dave Stuart. It was created by georeferencing a historic map and digitizing the road network. This map shows the relationship between diabetes morbidity, dialysis clinics and food deserts in Baltimore City. It was produced as part of the Community Health Maps lab series. This map shows the GPS tracks of a trip to the Big Apple recorded with a Suunto Ambit GPS sport watch. This is one site map from a series of 100 maps produced from a series of archaeological surveys in SW Arizona. This is an fun replication of the iconic Joy Division album Unknown Pleasures. However, this version depicts the Sandia Mountain Range outside of Albuquerque, New Mexico. It was created from an elevation model using some tricks in QGIS 3.2. Below are brief descriptions of several recent spatial analyses conducted by Bird's Eye View. This analysis is intended to demonstrate where there is sufficient potential movement to minimize genetic isolation, seasonal migration, and movement that leads to successful recruitment of new populations. Connectivity was computed using CircuitScape and Linkage Mapper against a custom resistance surface. Modeling Potential Mountain Lion (Puma concolor) Habitat in the Western U.S.
Cougars are habitat generalists and occupy a wide range of habitats. The presence of large ungulate prey is considered an essential habitat component. Physical and structural characteristics of the terrain are also important to determining habitat suitability. Physical ruggedness of the terrain, which provides stalking cover and den sites, is a commonly mentioned attribute of good cougar habitat. Cougars also tend to establish home ranges in areas with low road densities and low human disturbance. A deductive model for the western 15 US states was created using these habitat determinants. In a deductive model, factors known influence habitat selection are combined to generate the habitat model, as opposed to an inductive model where the model is based upon occurrence points. The three inputs to the model were: available prey, terrain ruggedness index and human footprint. We have worked with one of our clients to develop a sophisticated model named RoadRight. The model analyzes a route network to determine which segments might be considered candidates for decommissioning. It then analyzes the impact of the individual routes on a series of environmental variables. In this process it computes several route indices including: Isolation Index, In-stream sedimentation Index, Stream Crossing Index and Important Territory Index. The overall combined risk result for routes in a BLM Field Office is shown at right. This tool was developed to inform comments on National Forest and BLM travel management. The main goal of this project was to produce a robust, defensible, and predictive model that illustrates the potential current distribution of Bendire's Thrasher (Toxostoma bendirei) and potential future range shift in New Mexico. Due to the important relationship with the Curve-billed Thrasher (Toxostoma curvirostre), the current distribution for this species was also modeled. The resulting datasets provide insight into the current range of each species, potential current habitat quality, and the relationship between the two species on a landscape scale. Each model was projected onto future climate change data identifying potential range shifts. Maxent was used to develop the habitat models. This allowed the models to be projected onto a set of future climate data so that potential range shift due to climate change can be seen. Read the full report here. This analysis used existing datasets to generate both the Ecological Condition and Human Footprint of Socorro County. Ecological condition included wildlife habitat permeability, land cover, vegetation departure, climate resilience and species richness. The human footprint and ecological condition were combined via bivariate mapping in R (at right). This study is the first and only statewide wildlife corridor study for a single species in New Mexico. Twenty six corridors were modeled. These are potential corridors and no field truthing was done. Due to that it is difficult to know how significant they are. The only dataset that could be used to measure the validity of the corridors was NMDOT roadkill data records which spanned the years from 1993 – 2005. The NMDOT roadkill data showed carnivore roadkills had occurred within 13 of the corridors. Of those 13 corridors, 9 showed the carnivore roadkills occurring within the most optimum corridor swaths. Read the full report here. The goal of this project was to model connectivity for riparian species in Washington County, Utah. The open source connectivity analysis software Circuitscape was used. A riparian surface was generated from springs, rivers and lakes and wetlands. Core habitat areas were used as the wildland blocks. The output was a county wide riparian connectivity layer shown at right.